In choosing decor and furnishings for your sanctuary, you should consider buying locally made pieces! These unique details can instantly make any house, condo, or apartment look so much better. 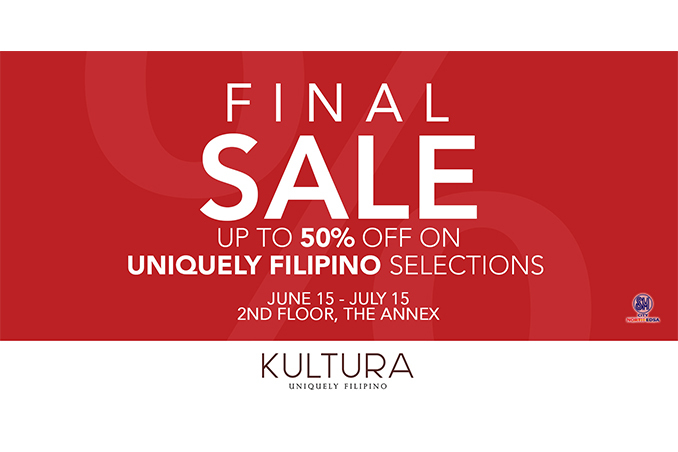 To make your home even more special, you can buy Pinoy-inspired pieces at up to 50% off at Kultura Filipino at SM City North Edsa. The discounted items will be available from June 15 to July 15.